LANDIKOTAL: The Khyber Pakhtunkhwa government cabinet meeting hold at Landikotal Jirga hall on Thursday has discussed various issues including the establishment of courts and the approval of various developmental projects at the newly merged tribal areas. Chief Minister of KP ‘Mehmood Khan’ heading the cabinet meeting, Chief Secretary of KP, Commissioner Peshawar and the provincial ministers were present at the cabinet meeting. Briefing to media after the cabinet meeting, the provincial minister of information Shaukat Yousafzai said that important issues were come under discussion during the meeting. The information minister said that the rehabilitation and improvement of the historical Khyber Safari train would also be launched soon. He said that restoration of the Khyber Safari train would attract more tourists to the historically important region. 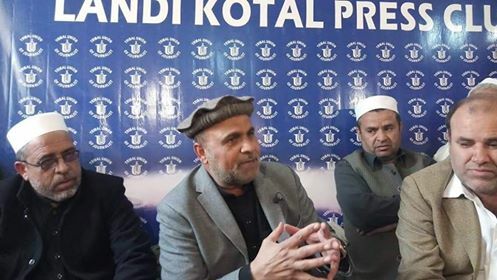 He said that it is happened first time in the history that after merging the tribal regions in the province, the provincial government cabinet meeting was held at Landikotal. The information minister said that the provincial cabinet has endorsed the Prime minister Imran Khan announcement to keep the Torkham border open for 24 hours. Yousafzai said that Solar system to some 300 Majids across the newly merged tribal areas would be provided to facilitate the local people. He said that health policies have been approved during the meeting to provide quality health services to the tribal people. He said forest and tourism department would also be made functional at the tribal regions to develop tourism at the regions which would impact the area and its people very positively. The newly merged areas would be tax free for next five years. The information minister added during the briefing. He said that the provincial government cabinet meeting would be held at the all districts of newly merged areas in future. Meanwhile, not allowing the local journalists to enter the Landikotal tehsil, the journalists of Landikotal hold a protest demonstration against the discriminative behavior of local administration officials. The angry journalists holding placards and black strips on their heads marched from Landikotal press club and gathered outside Landikotal Jirga Hall. They chanted slogans ‘Jaali Tabdeeli Sarkar’ and against local administration over not allowing them to cover the meeting of KP cabinet. The president of Landikotal, Khalil Afridi and general secretary, Imran Shinwari led the protests. 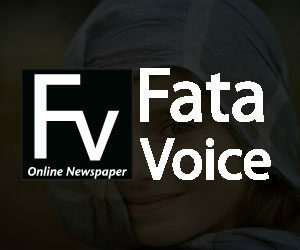 Senior local journalists, Farhad Shinwari, Khalil Afridi and other spoke on the occasion. 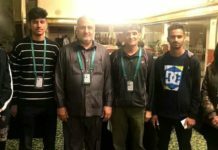 The speakers while expressing their grievances said that around a hundred nonlocal journalists were present to cover the event but the local media persons were denied to enter the premises of the Local administration which was clear discrimination with them. 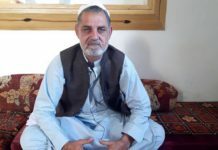 They said that local journalists were more aware of the area’s problems but the assistant commissioner of Landikotal deliberately banded them to meet with the cabinet’s members. They said that Frontier Crimes Regulations(FCR) was still operating by the local administration in Landikotal. Later, the journalists dispersed peacefully and demanded the KP government to issue strict instructions to the local administration not to ban the local media entry to tehsil building.